Julia Mage'au Gray is a dancer, choreographer, tattooist, photographer and film-maker who is interested in exploring her Papuan and Mekeo heritage within an urban Australian context. 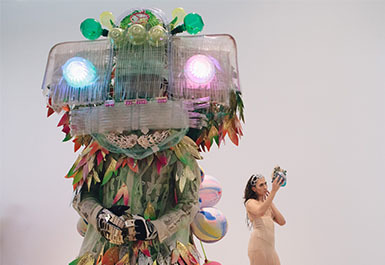 Her performances frequently combine dance with evocative video narratives. Now based in Darwin, Gray co-founded the performance group Sunameke in 1997. Dress or adornment, including the marking of the body with tatu (tattoo), is often of particular significance in her performances and films. 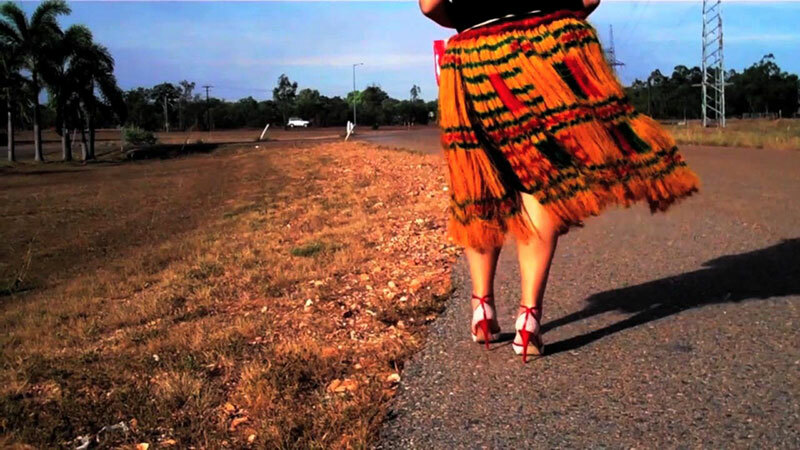 Best foot forward 2011 features Gray's sister Yolanda walking along an Australian road dressed in a Mekeo skirt customarily worn for performance, which contrasts with her red high heels. 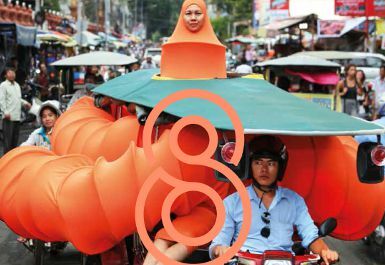 Mage'au Gray also features in APT8's Yumi Danis (We Dance) performance project. Watch Julia Mage'au Gray's Tatau demonstration and In conversation with Tep Tok. 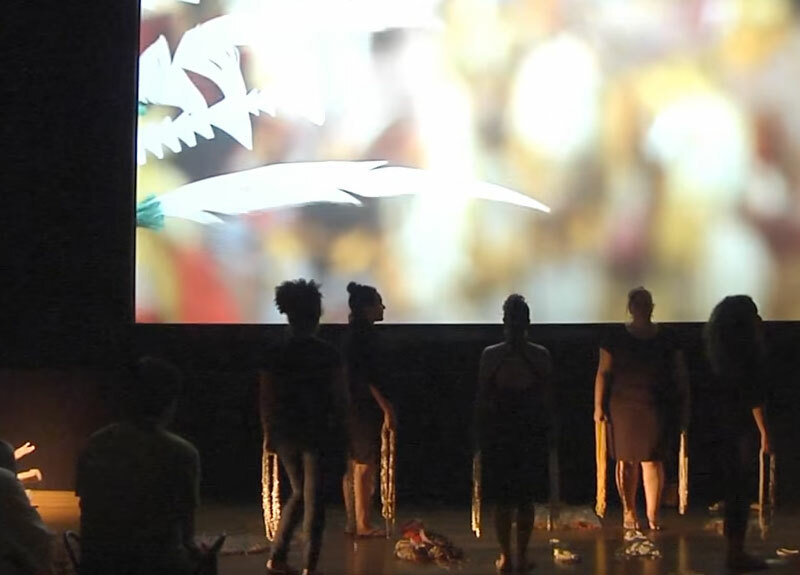 Watch Julia Mage’au Gray and Sunameke for a contemporary dance performance that engages with her Mekeo heritage and the Yumi Danis (We Dance) performance project..
Julia Mage'au Gray, Mekeo people, Papua New Guinea/Australia b.1973 / Best foot forward (still) 2011 / Single-channel HD video projection: 2:26 minutes (looped), colour, sound / Purchased 2015. 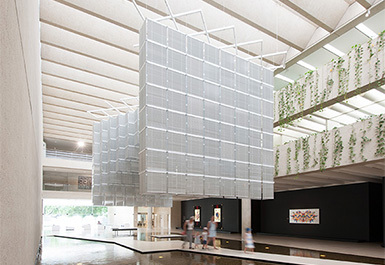 Queensland Art Gallery | Gallery of Modern Art Foundation / Collection: Queensland Art Gallery / © The artist. 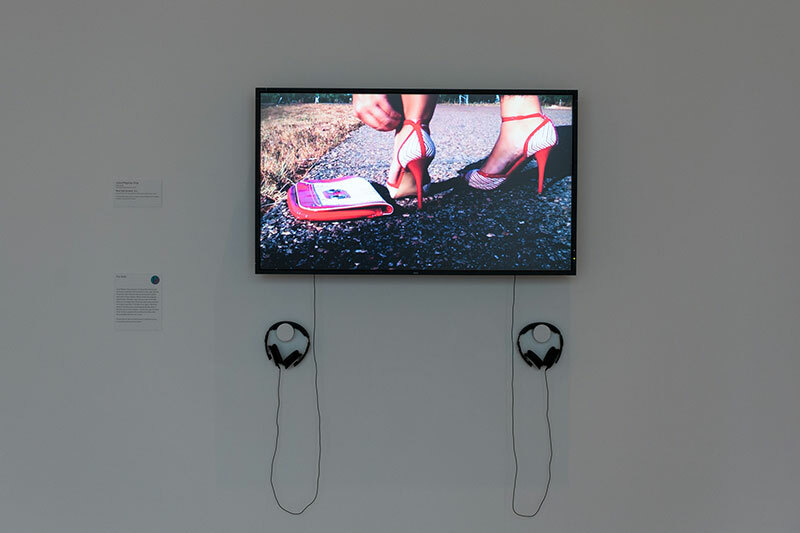 Julia Mage'au Gray's video work installed in APT8.